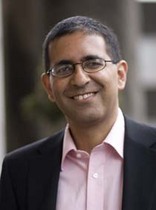 At the Department for Work and Pensions, Ashwin worked as a pensions economist for a number of years. His first job was to work on the Pensions Review of 1998 and he contributed directly to the design of the State Second Pension. For his account of how these reforms represented a shift from the contributory principle to a wider participatory principle, see Kumar, Pension reform in the UK: from contribution to participation in Social Security Reform in Advanced Countries, ed Ihori & Tachibanaki, Routledge, 2002. He was then asked to write the second in the department’s series of occasional papers setting out the context for welfare reform (The Changing Welfare State: Pensioner Incomes, Dept of Social Security, March 2000). This offered a history of pensions, pensioner incomes and poverty, analysing the drivers of change over many decades, and prospects for the future. The paper acknowledge publicly the link between government policies in the 1980s and pensions mis-selling – at the time still a controversial view amongst many departmental civil servants. He was then given responsibility for developing a brand new model to predict pensioner incomes over the next 50 years. The resulting model, Pensim2is acknowledged as a world-leading model of its kind, and delivered a number of innovations in analysis of pensions, including use of national insurance histories to predict future labour market activity and use of state pension records to predict income-specific mortality. The model was delivered for use by the Pensions Commission in 2004 and remains a mainstay of the government’s analytical work in this area. Ashwin commissioned an independent audit of the model by the Institute for Fiscal Studies, which gave it a ''See Emmerson, Reed and Shephard, An Assessment of Pensim2, Institute of Fiscal Studies, WP0421, for an independent audit of the model that Ashwin commissioned from the Institute for Fiscal Studies which gave it a ‘very positive’ assessment.